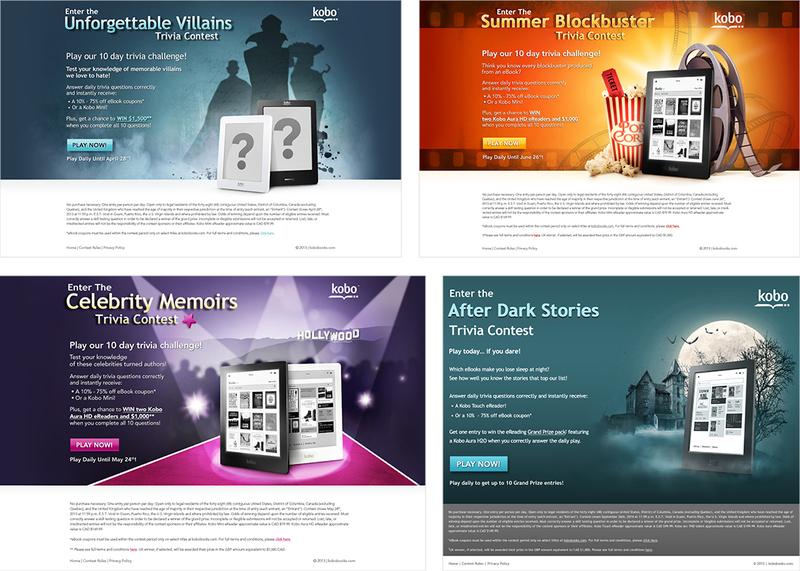 Kobo offer a Trivia monthly Contest, with a different theme for each month. 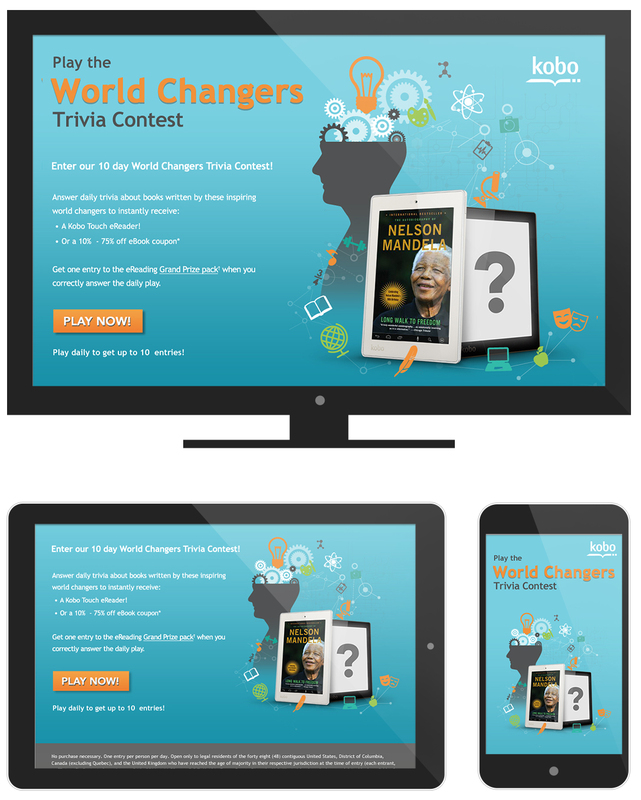 The player answer daily questions during 10 days to receive a prize. 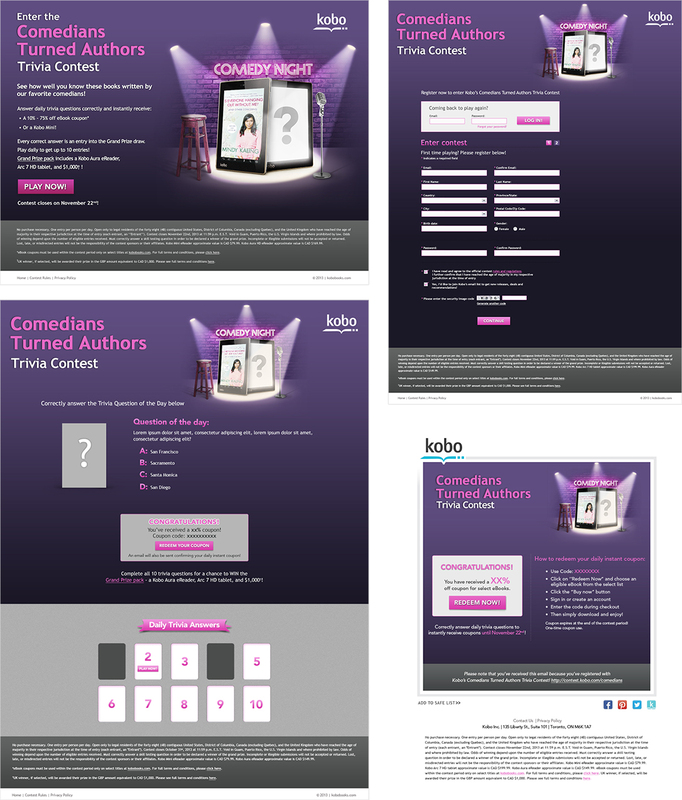 Based on the same template, first a basic one, then responsive, I designed a creative visual for each theme. Colors and creative are decline to be adapt to each pages.